A dozen activists who took symbolic direct action against the expansion of Manchester Airport are to stand trial, after entering pleas of not guilty to obstructing the highway and aggravated trespass. Manchester Airport Group (MAG), which runs the Airport, also owns Bournemouth Airport, East Midlands Airport and Humberside Airport . It is wholly owned by the ten local authorities in Greater Manchester, with its majority (55%) share in the hands of Manchester City Council. Manchester’s Climate Change Action Plan , which calls for a 41% reduction in carbon dioxide emissions by 2020 crucially only includes the ground operations of the airport (heating, taxiing of planes etc), excluding the emissions of planes that are travelling to and from the airport. The Airport’s head of press relations has personally assured Manchester Climate Fortnightly that they will provide a press statement. Manchester City Council, which owns 55% of Manchester Airports Group, has also been approached for comment by MCFly. 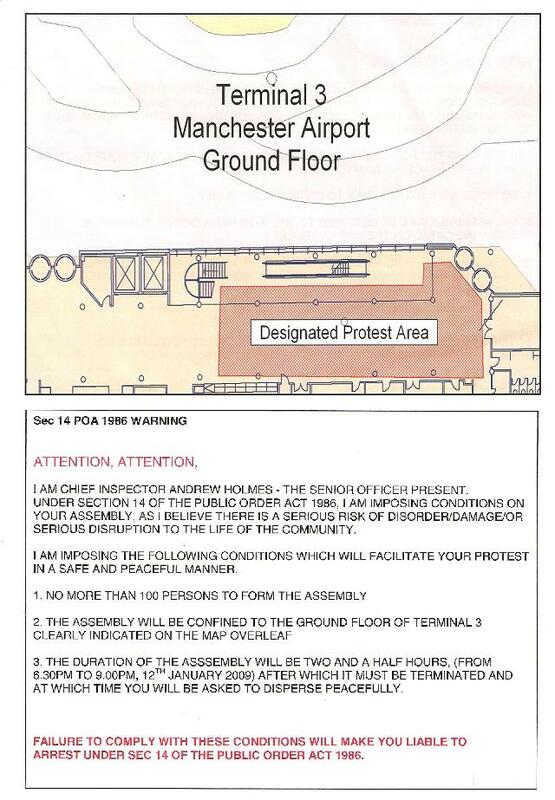 Manchester Airports and the protesters. The building of a second runway between 1994 and 1997 led to a concerted campaign of non-violent direct action, including tunnels, treehouses and a “battlestar” in the path of the development. You can read a participant being interviewed here, on the Radical Manchester Website. 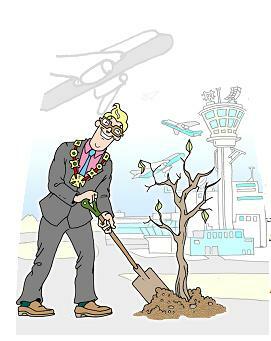 In defence of Manchester Airport. Sort of. This entry was posted in Airport, aviation, Manchester Airport, Manchester City Council, non-violent direct action, nvda, plane stupid. Bookmark the permalink.